Hooray, the last bit of campaign is here! If you’ve waited for a great scenario as a Broken Shore climax… no. Just slay 100 demons in Broken Shore to get the achievement. And after you get the lore achievement, you will get a series of quests for your class mount. 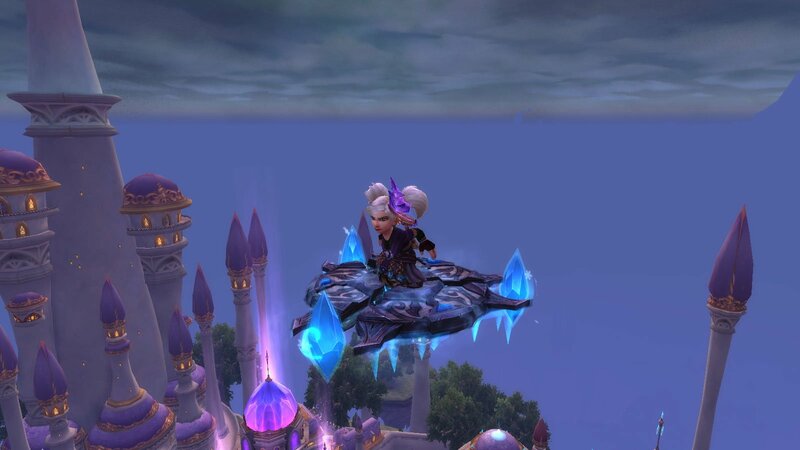 *Spoiler alert: the next part of the post is Micromantica’s diary, so if you plan to see mage mount story in game with your own eyes, you may want to skip it. Micromantica’s class mount quest was a project of Antonidas, the high mage who perished during the Third War, slain by Arthas during Scourge attack on Dalaran. Antonidas started to engineer a magic-infused riding disc, but never had a chance to finish it. 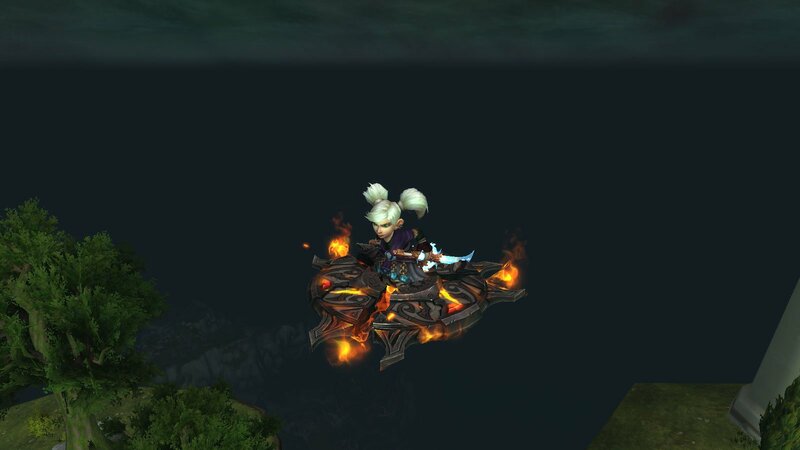 Kalecgos sends us on errand to discover the whereabouts of the three disc parts (fire, arcane and ice) – which is easy, it’s just talking to NPC and killing 110 normal mobs. 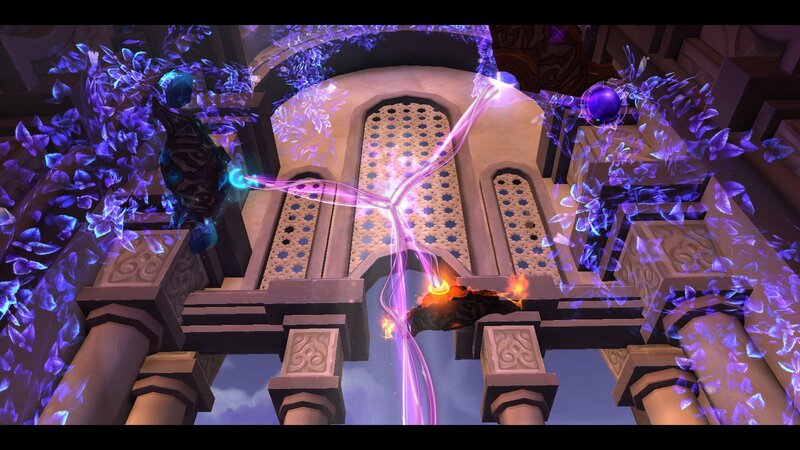 After we get them, we are teleported to Oculus where we’ve fought Malygos. There’s too much magic energy in every part, and we must defeat it. We start encounter with every part by clicking on it. These are 30 HP mobs (which are more than your average elites) – you need to defeat Fire, Arcane and Ice elementals in any order you’d like. You can use whichever spec you want. If you die or if you defeat the elemental, your cooldowns are reset, and you can also eat and repair gear before launching the next encounter. NPC also sold food and shielding orbs against the types of magic for 50 Order Hall resources. 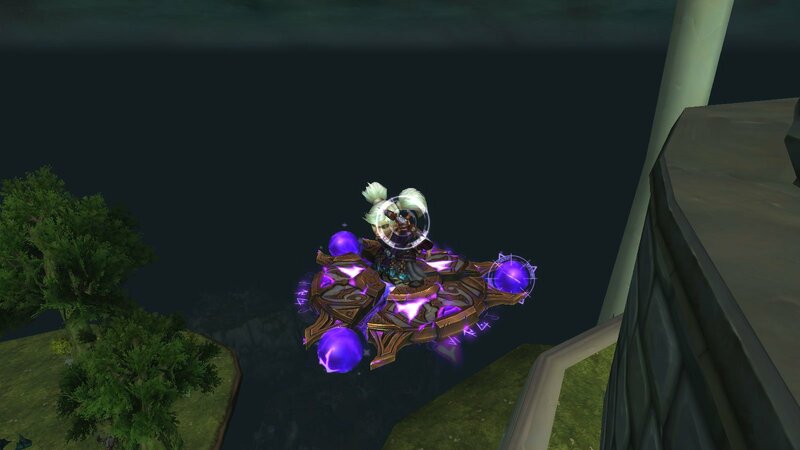 Let me tell you that THIS is what I call class trials, not this outrageous, stupid thing Blizzard implemented with new artifact appearances in 7.2. Here you need to use and know your spells, use interrupts and dispel the enemy shields, you need to switch targets, use AoE, perform correct positioning – in other words, it does require your class knowledge and normal raiding behaviour. But it doesn’t require a mage to be a tank or heal yourself! There will be nothing too deadly that your Ice Barrier would not cope with – of course, if you don’t stand in fire and other pools, or fail to kill enough adds. Brilliant! It was a bit tense, but I won. Died just once at Fire encounter – because I didn’t know how much deadly are those fire puddles. Answer is: VERY deadly. Can’t wait to see and try the other mounts and their lore! Eleven to go. The class quests are yet again awesome. Totally agree, the satisfaction of using your class (prowl!) to execute the task was terrific. Grats on your, and many more, class mounts. Man, that was fast! Congrats :) It sounds like a fairly cool quest chain too. How awesome it changes look based on spec as well.